A blog developed by Joey Lehrman - All New Orleans! 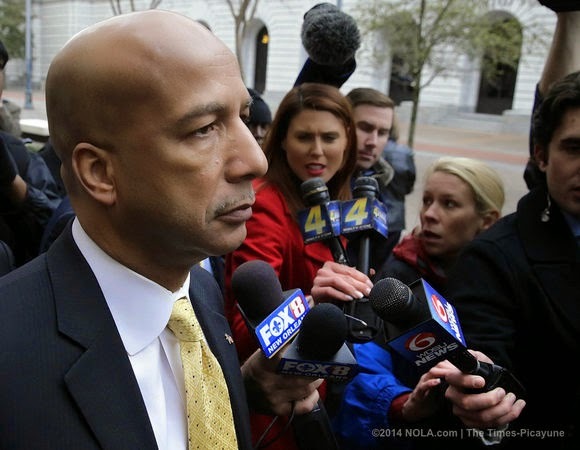 Former Mayor Ray Nagin will be sentenced on July 2nd. In a somewhat unfortunate ruling on Thursday, U.S. District Judge Giner Berrigan granted a delay in former Mayor Ray Nagin's sentencing. Nagin, who was set to be sentenced on June 11th, was allowed a 3-week delayed and he will now face sentencing on July 2nd. Nagin's legal team calimed they needed more time to review a "pre-senting investigation report". Such reports, issued by the U.S. Probation Department, delve into the defendant's background and alleged offenses, and they serve as an aid for judges as they consider how much prison time and fines to mete out at sentencing. Prosecurtors were disappointed by the ruling, especially since they claimed that issues with these reports are supposed to be filed within 2 weeks of its release. In Nagin's case, the report was filed on May 7th. Regardless of the delay in sentencing, it has become clear that Nagin will likely face a severe penalty stemming from 20 counts of public corruption during his time in office. Nagin was found guilty on all charges, and legal experts familair with sentencing guidelines believe that the former mayor will face up to 20 years in prison. Joey Lehrman is a retired teacher with over 40 years of experience in the New Orleans public school system. Since retiring, he has transitioned to sharing his experience and perspective and all things New Orleans through a variety of blogs, news-sites, and social networks.